75 Degrees – The Company that Gives Back. We are ready to start on your project. Call us now! 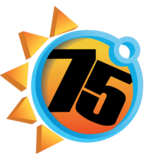 75 Degrees operates in the Southern Nevada area. 75 Degrees is an air conditioning and heating company serving the greater Las Vegas Valley, North Las Vegas, Summerlin, Henderson, and surrounding areas of Southern Nevada. Energy efficiency and excellent customer care is our primary focus. 75 Degrees has recently added a plumbing division dedicated to solving plumbing issues throughout Las Vegas, Henderson, Summerlin and North Las Vegas. 75 Degrees is an experienced HVAC & Plumbing company servicing the greater Las Vegas, Summerlin, Henderson and North Las Vegas areas in Nevada. 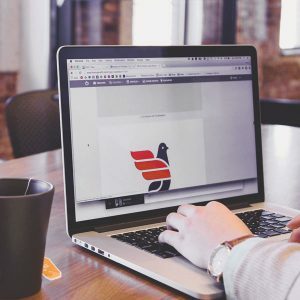 At 75 Degrees we are committed to giving our clients the best possible value in heating, cooling and plumbing solutions for your home or office. Energy efficiency and excellent customer care is our primary focus. 75 Degrees is the vision of two energy-conscious brothers that continue to expand community awareness. At every opportunity, it’s our goal is to provide high quality products and services to single and multi-family residences at affordable prices. Our corporate values of honesty, hard work, impeccable customer service and prompt response shine through in each residential call we respond to. As members of the Nevada State Apartment Association, we understand that management companies have the great responsibility of serving the properties they manage. Likewise, we treat ALL our customers and employees as partners and family. At 75 Degrees we care for the environment and show it by being active participants in energy efficiency programs and environmental awareness initiatives in our community. Our primary concern is to give back to our clients, our community, our employees, and our vendors. We firmly believe in a “Win-Win” formula and pursue it every day. We know that when we give back we create partners and clients for life! We are always looking for ways to serve our community through existing programs and by helping people in need. Our work is done with the utmost in Integrity. We consider ourselves an innovative company. The Safety of both our customers, and our personnel is our Top Priority. We’d love to help you with your problem! We will provide you with the utmost in professional service.